Valentine’s Day is less than a week. I am sure a lot of us are already planning what to do, where to date and what to eat. For the singles out there do not fret. It is also singles awareness day you know. You can team up with other singles that day. I am sure you can find a way. So much rhyming here I know. However rest assured this post will not be applicable for the couples only or individuals who already have someone. This post is also for the singles. See I just love you dearly. This post after all talks about having another partner in your life. And this partner is your money. 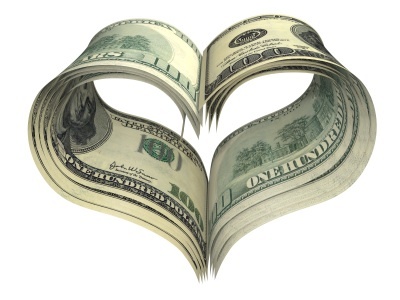 Adding a little romance with money can truly transform your money habits and more so your spending. As much as possible we must treat money as our partner. The reason being why we do such because there are good things we do with our partner. We often don’t want our partner to get angry with us right? We are always careful with each other’s feelings and keeping it safe from harm’s way. Needless to say, we must also work that way with our money. And make money your partner. So basically the question is how will we treat money like our partner? I am sure you’ve heard of Be Careful With My Heart teleserye right? This must also be the same mechanism with your money. You must be careful with it. You must be careful where to spend it and how to spend it. You see, in a relationship stand point, if you are not careful with the heart of your partner, you would end up breaking his or her heart. Then there would be chaos and more. Same thing would occur with regards to your money. If you just squander it aimlessly, chances are you would be breaking your wallet and more so your heart. You will end up broke. You don’t want that to happen right? When we talk with our partner, we are always calm, soft and sweet. We are always at our best demeanour every single time. This must also be the way we treat our money. As much as possible we must always be calm and soft. Do you feel angry or do you feel angst when you pay your bills? Perhaps are you stressed every single time? Remember the energy that you release would also be the same energy that you attract. Money is energy. It is attracted to individuals that appreciate it and treat it well. And like attracts like. Hence make sure you feel prosperous and thankful with your thoughts about money. For sure, your money energy will also work that way. When we love someone, we are always patient with them. We cannot begin to imagine if we were patient before because it seems to stretch out in our relationship. We would be willing to wait for them. With regards to money, we must be patient as well. There are times that we want to buy something however we don’t have much. With that, do not go overboard and loan up or swipe that card. Instead, wait until you have more or until you can afford it. We are often afraid to lose our partner. We cannot imagine a life without them. Even more, we do so many things to let them stay because it would be heart breaking without them. Same goes with your money. You must do things to let your money stay. Do not just squander it and spend it that in just how many days you will be left with nothing. Be afraid to lose it so that you will treasure it and take good care of it. In a relationship you must let the other person be themselves. You must support him or her do whatever his or her dreams are. We must let them grow. This must also be our mechanism towards money. We let it grow too. We want to see it prosper after all. Hence, save up your money. Invest it in order to yield more in the process. Let it bloom and let it grow. If you treat your money like your honey for sure your money would be with you for the longest time. You could be able to maximize the use of it. That is why apply the strategies stated above and for sure your money would stick with you through thick and thin.